Form & Character: Rugged, mostly upright, open, not as spreading as Q. virginiana. 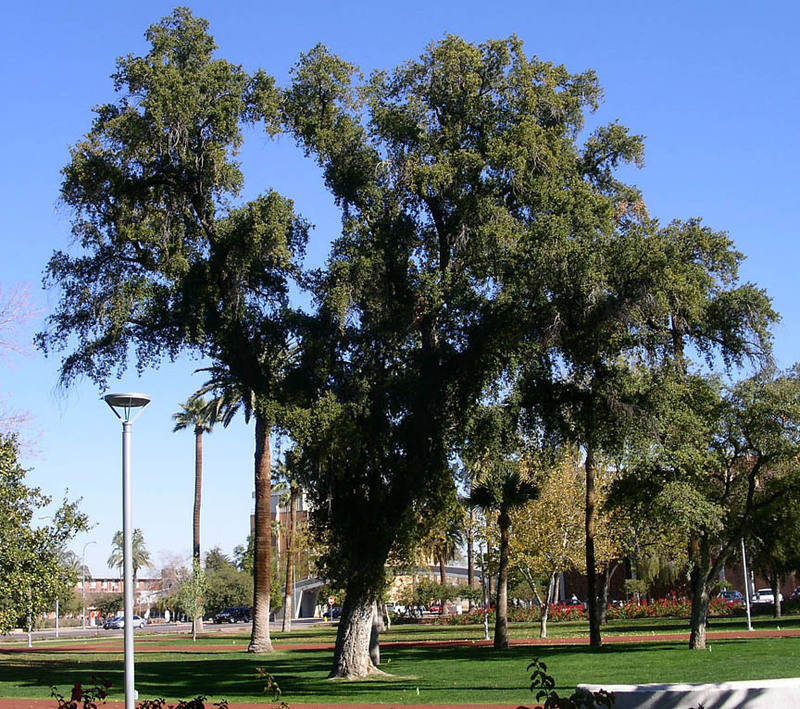 Growth Habit: Woody evergreen, perennial tree, slow when young to moderate with age to 50 feet tall in Phoenix, somewhat taller elsewhere. Foliage/texture: Small ovate leaves to 3 inches long, often toothed, dark green above to gray tomentose beneath, leaves drop in early spring as new leaves appear. 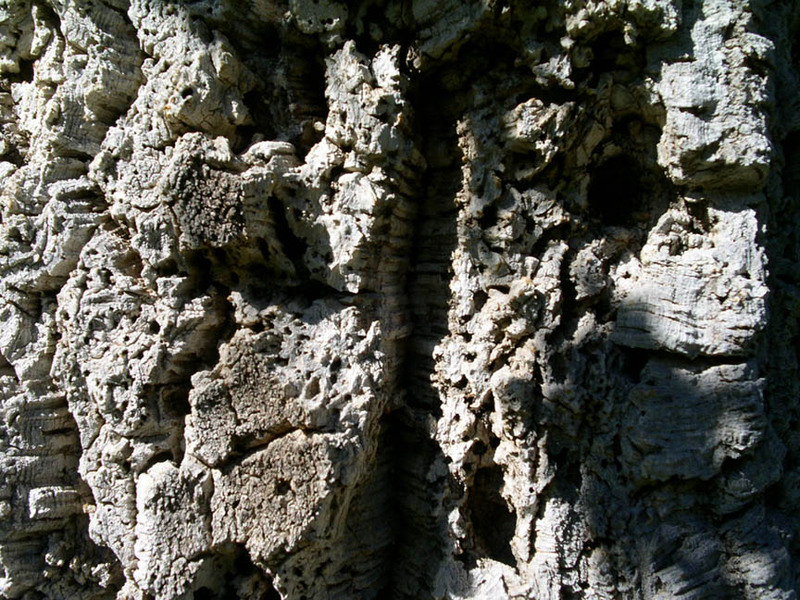 Cork oak trees are famous for producing a thick corky phellem (bark). Generally, cork oak trees have a medium fine textured canopy of foliage that contrasts nicely against the tree's fissured, coarse-textured trunk and branches. Flowers & fruits: All oaks are dioecious, male and female flowers are mostly yellowish and inconspicuous in axillary positioned catkins; fruits are an acorn with cap enclosing about 1/3 to 1/2 of nut, edible after roasting. Soil: Tolerant, yellows in highly alkaline soils, good drainage. Watering: Drought tolerant, give infrequent deep irrigations during summer. Pruning: Little except to elevate canopy base. Additional comments: The phellum (laypersons call this bark) of cork oak yields commercial cork. Vandalism of trunk can be a huge problem in highly visible areas. Otherwise, this is a great, albiet slow growing, evergreen oak tree for Arizona desert urban landscapes.